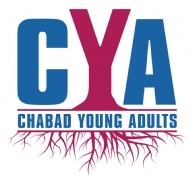 Children & Youth - Beth Chabad C.S.L. stay connected to our Jewish roots. monthly Shabbat dinners, holiday events and a trip to NYC or boys and girls ages 17-22. A one of a kind experience for girls ages 11-13, regardless of synagogue affiliation to come together once a month to celebrate what is means to become a Bat Mitzvah. Club activities include; interactive games, discussions, arts and crafts, Tikkun Olam projects, and field trips. for their enjoyment and spiritual well-being. The program includes playing in the game room, behavior enhancement through invaluable Torah lessons, stories, raffle once a month and a GRAND trip!!! !